Rima Karaki: How can a respected sheikh like yourself tell a TV host to shut up? Sheikh Hani Al-Siba’i: It’s beneath me to be interviewed by you. Have you seen the exchange between Lebanese TV presenter Rima Karaki and Islamic scholar Sheikh Hani Al-Siba’i? The interview has gone viral, viewed 3,671,872 times on You Tube when I last checked, and reported by a swathe of news organisations including The Guardian, Daily Mail, Huffington Post, The Independent, news.com.au and France 24. The scholar was on Al-Jadeed TV to discuss why Christians were signing up to fight with ISIS. When his first answer involved a lengthy historical tangent the presenter interrupted him, asking him to stick to the present day. The scholar replied with “don’t cut me off”, “shut up so I can talk”, “you think you are so high and mighty” and “it’s beneath me to be interviewed by you”. Finally, she gave up and told him “in this studio I run the show” and “either there is mutual respect or the conversation is over” before ending the segment abruptly. In the aftermath Rima Karaki comes off well. She was applauded for being calm and dignified in the face of unacceptable rudeness and quite within her rights to terminate the interview. Sheikh Hani Al-Siba’i was seen as a sexist, backward, outrageously rude fanatic who lost the chance to have his voice heard. So, any lessons for interview technique here? You bet. • First, in a news environment, historical context has to be conveyed quickly. If it’s important to mention previous events because they give context, find a way to mention them quickly. The Sheikh’s problem was that while he may have had a good point to make, he took too long to make it. News is about what’s new, not what’s happened before. • Second, don’t start an answer with historical context. Make a statement about the issue at hand before you back it up with what’s gone before. That way, you’ve signalled to the audience (and the interviewer) that you answer is going to be relevant. • Third, expect to be interrupted. Being interviewed is not the same as giving a speech or engaging in a debate. Like Rima Karaki says, the presenter runs the show. 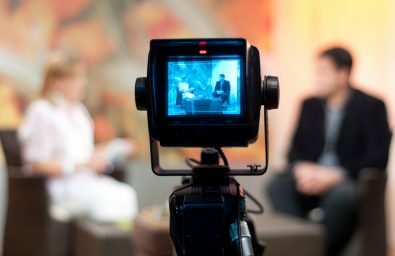 • Fourth, understand whether you’re going live or being pre-recorded. If you’re live, the presenter simply won’t allow you to ramble on. TV/radio news programs operate to very tight rundowns leaving no room for elaboration. If you’re pre-recorded, you may have a little more leeway. • Fifth, being rude gets you nowhere. You may think the interviewer is taking the wrong tack; you may feel you’re not being allowed to finish a sentence; you may be incensed by the line of questioning but if you’re rude, you come off as the bad guy. It’s a simple as that. It’s easy to get caught up in the moment when you’re being interviewed but DON’T take questions personally, DON’T attack the interviewer and DON’T be offended if you’re interrupted. DO get media trained – it helps you to develop answers that are so newsworthy and intrinsically interesting that the presenter will be more inclined to let you finish.